The Ragamuffin is a descendant of the Ragdoll, which explains why it looks similar to the latter. 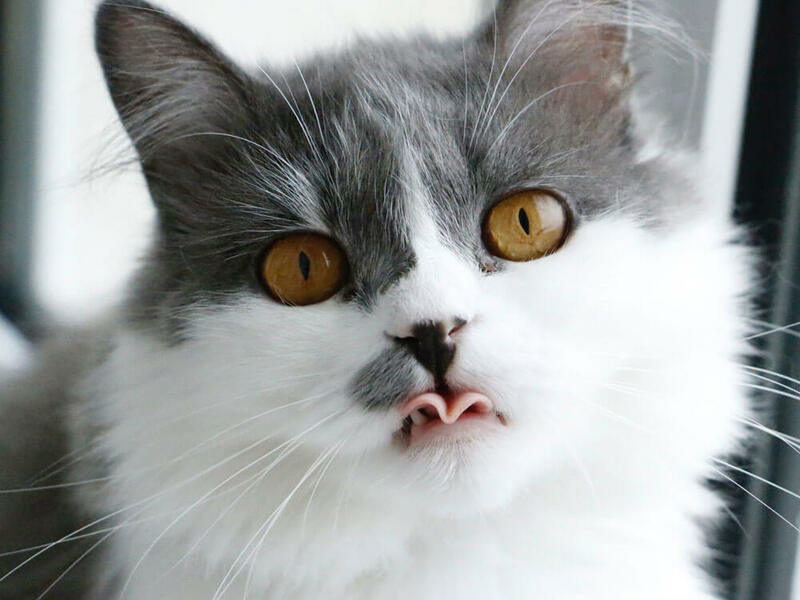 This cat breed is also similarly sweet and even-tempered, and also goes limp when handled. Affectionate and fantastic for families, the Ragamuffin cat is one of the beloved domestic felines in the world today. The Ragamuffin’s history is closely tied to that of the Ragdoll. The latter was developed using a feral feline that suddenly became docile with treatment received after figuring in a road accident. The said cat was bred with a seal-pointed Birman, and the resulting kitten was later bred with a Burmese. The offspring from this pairing produced the Ragdoll. Ann Baker, a breeder from the US who developed the Ragdoll in 1963, went on to trademark the new breed. She subsequently required all who wanted to produce the sweet-natured feline to register under her International Ragdoll Cat Association. Later, Baker’s strict policies and ways led a group of American breeders to break away. These breeders developed their own programme involving more colour and pattern variations. However, they could not use the trademarked Ragdoll name. As such, they called the new cat type the Ragamuffin—a name that was originally suggested as a joke. 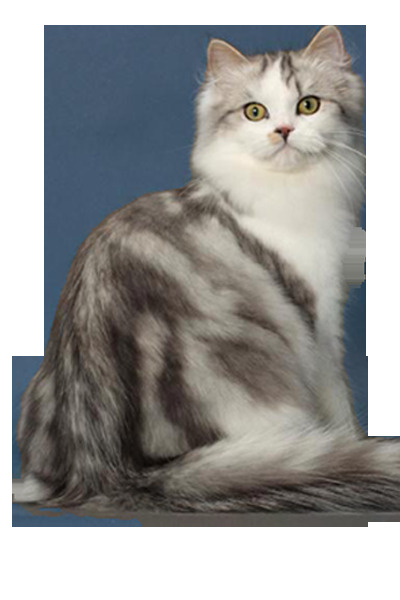 The Ragamuffin was later acknowledged by the Cat Fanciers’ Association in 2001 and was awarded full championship status in 2011. It was only in 2008 that the first batch of Ragamuffin cats reached British shores. It earned the GCCF’s preliminary recognition in 2010. The Ragamuffin is a sizeable cat. In fact, it is one of the largest domestic feline breeds. It has a heavy and muscular body; its shoulders and chest are broad and powerful. Its head is a modified wedge shape and has a moderately round forehead. Its eyes are large and walnut-shaped and can be gold, blue, or green. Its neck is rather short but the fur around it is longer than other parts of its rectangular body. The fully furry tail is tapered and long. The trademark and most significant physical trait of this breed is its coat. The semi-longhaired fur is dense and silky to the feel. It is longer on the hind legs and, as mentioned, on the neck. There is tufting in the ears and in between the toes. It comes in a variety of colours and patterns. All Ragdoll kittens, however, are born white. They later develop their respective colours as they mature. Do Ragamuffins shed? Yes it does, but not excessively. It is also worth noting that grooming its fur is not much of a problem as weekly brushings are sufficient. This feline’s fur may be thicker and longer than other breeds, but it does not tend to mat. That is, if it does not have a Persian in its ancestry. The Ragamuffin cat personality is sweet with a capital S. It loves people and thrives in their company, and especially loves cuddles. Like the Ragdoll, it goes limp when handled in one’s arms. Mellow, very friendly, and even-tempered, this cat breed is a wonderful companion for families and individual cat owners. As a people-loving cat, it has been known to follow its humans wherever they go. This has earned itself the moniker “Velcro cat”. It also gets along with other pets and even visitors. It travels well and can be walked on a lead. Intelligent and patient, it can play fetch and be taught tricks. It can tolerate the enthusiastic attention of young children. The Ragamuffin does not fully mature until it turns 4 years old. The extended kittenhood period has endeared it to cat fanciers with a soft spot for playful, sweet, yet agreeable feline companions. The Ragamuffin should be provided a nutritious diet that fulfils its daily requirements. It should be consistently given the same food following the same feeding times. If there are changes to its diet, those must be done gradually to prevent digestive problems. This cat’s diet and weight should be monitored as its laid-back ways make it prone to going beyond its normal weight range. 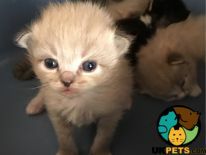 How much is a Ragamuffin cat? A well-bred kitten will cost £600-£700. Average insurance expenses would cost £15 (basic) or £25 (lifetime) monthly. Food costs may range from £15-£20 each month. For vaccinations, boosters, annual checks and other veterinary costs, pet care costs may add up to more than £500-£600 each year. Ragamuffins are not as widely available in the UK as other feline breeds. As such, care costs may differ depending on the area and the heritage of the kitten acquired. Only get such kittens from responsible breeders. Is a RagaMuffin Right for You? This feline is mellow, friendly, and thrives on human companionship. As such, it is prone to separation anxiety and should not be left on its own for long. It gets along with children and other pets well. Its medium-length coat sheds moderately and does not tend to mat. Grooming is low maintenance. Those with allergies may not agree with the Ragamuffin’s coat.